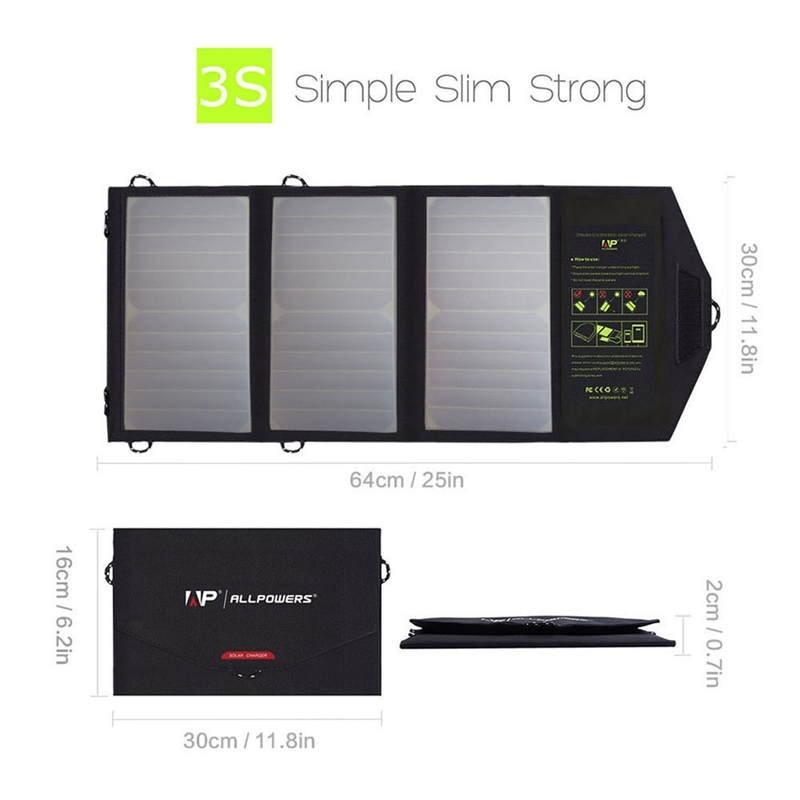 Uses 10 watts monocrystalline panel for quick charging. 1. Open the solar panel and fix it on the places where it can receive maximum sunshine, like knapsacks, windows, car windshields, etc. 2. Connect it with your device by the power cord(not included). It fits for mobile phones, MP3/MP4, digital cameras, GPS, PSP, etc. 3. The product will charge your device as soon as the sunshine is enough. 1. The sun does not always strike it straight on and we can\'t count on getting the full peak watts all day. Early in the morning and late at night solar panels have a much reduced output with maximum output near noon. A good rule is that you can get the equivalent of about 42% of maximum output per 12 hours of sunlight - less on cloudy days. 2. Some devices may not charge directly from this panel due to weather conditions or limitations of your device. If you are having trouble, make sure the panel is in bright sunlight angled directly at the sun. 3. It is recommended to use this solar panel together with a rechargeable battery so the power generated by the solar panel can be saved and stored.